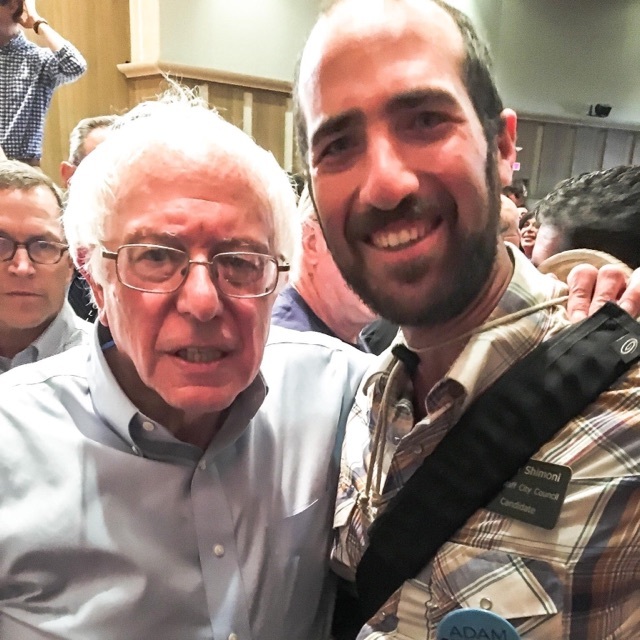 A Flagstaff resident since 2005, Adam Shimoni has been active in Flagstaff politics for several years. Shimoni founded and facilitated Flagstaff Speak Up!, a civic engagement program under Friends of Flagstaff’s Future, and was a board member of Friends of Flagstaff’s Future from May of 2013 to February of 2016. Adam stepped forward as a prospect for City Council in the 2016 race and fell short by a mere 59 (.1%) votes! Adam also helped as an organizer, advocate, and a coordinator and supporter of the Flagstaff Community Supported Agriculture (CSA). 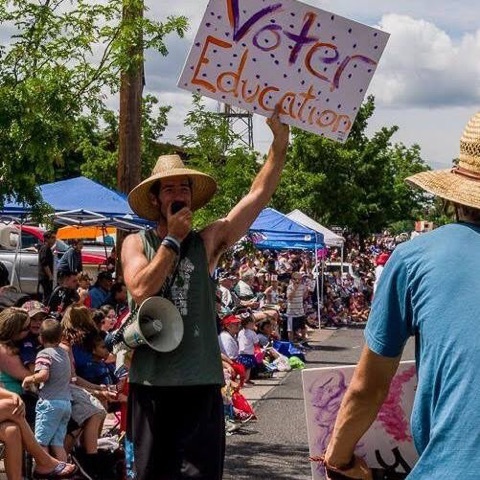 He has organized countless rallies and informational sessions to educate citizens about local issues and encourage citizens to be involved in local decision-making. 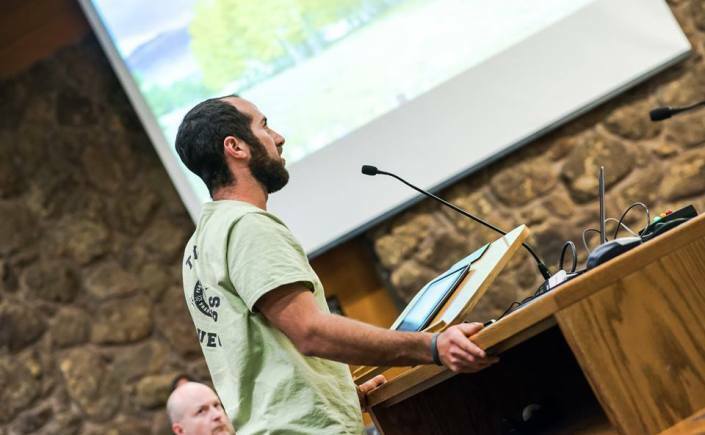 In 2014, he received 2 Sustainable Leadership awards from NAU for his work at Speak UP & Friends of Flagstaff’s Future. Since 2011, Shimoni has been an organizer and youth leader for Ultimate Peace, a non-profit organization that seeks to engage youth from disparate backgrounds to form friendships through playing ultimate frisbee. Shimoni graduated from NAU in 2011 with degrees in High School Special Education and Career and Technology Education, and a minor in Business. After graduating, he opened up his own bikes sales and repair shop called Flagstaff Bikes. Shimoni seeks more community involvement and citizen representation in local decision-making. Major areas of focus for Shimoni’s campaign include increasing affordable housing, facilitating growth and wellbeing of local businesses, cultural respect and sensitivity, maintaining our Dark Skies, enhancing alternative transportation, water conservation, and preservation of surrounding natural habitats and open space. Adam will represent the desires of the people and protect the voice of Flagstaff. Make your voice heard and get to the polls! IMPORTANT VOTER INFORMATION: If you registered to vote locally using an out of state ID, and have not presented a physical/digital copy of your birth certificate or passport to the county recorder, you are currently only registered to vote in the two federal races. To receive access to your FULL BALLOT, you must show proof of citizenship by 5pm on Nov. 1st. 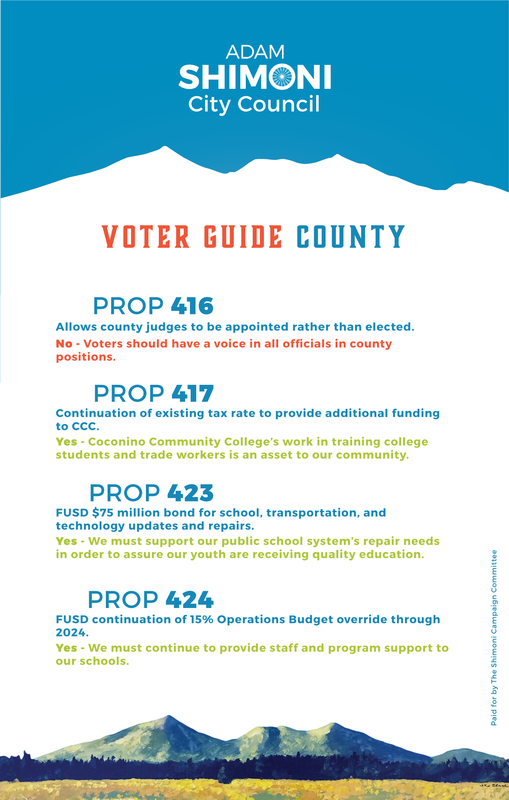 Either bring a copy of your passport, passport ID, birth certificate, or Indian census number to the County Elections office (110 E. Cherry Ave.) or e-mail a copy of one of these documents to ccelections@coconino.az.gov by 5 pm on Nov. 1st. On Election Day (Nov 6th) ANYONE is able to vote at the NAU Skydome or at the Flagstaff mall. I strongly encourage you to research this information for yourself to make sure you know exactly what you need to vote! Please reach out to the county recorder (email and phone below) or check their website for more information. Born in Israel and raised in a wealthy suburb of Chicago, I was exposed to very diverse cultural, ethnic, and socioeconomic worlds. From a very young age I learned that monetary wealth does not necessarily lead to happiness. That while financial stability is important, community, family, friendship, health, sense of place and safety are critical for a person’s well-being. I spend my life living by those standards of wealth and believe they are basic human needs and rights. In 2012, I pursued my dream of opening a small quality used bicycle shop. One of the best things about living in Flagstaff is that one can do all of their traveling on a bicycle! As a small business owner and concerned citizen, I started tuning into the local issues. As a millennial, I started realizing that in this great system of democracy and representation, we the people were extremely disconnected to those who are representing us at every level, starting locally. People in this small town seem to care so much and be engaged with the environment around them but yet, I felt that our political leaders weren’t always making decisions that reflect the values of the people. In 2013, I teamed up Friends of Flagstaff’s Future and Flag Brew and started Flagstaff Speak Up. Speak Up was a venue to educate Flagstaff residents about local issues. However, Speak Up quickly became not only an educational space for discussion and understanding but a space which we organized people to rally and attend specific council meetings of which we felt our values were being misrepresented. We rallied around a variety of issues including opposition to the displacement of low-income residents in Arrowhead Village, support of Open Space in Buffalo Park Annex, and more. Through the role of Speak Up’s director, I learned a lot about the process, structure, and role of government. I sat on committees, attended hundreds of Council, commission and budget meetings, and met face to face with City staff. 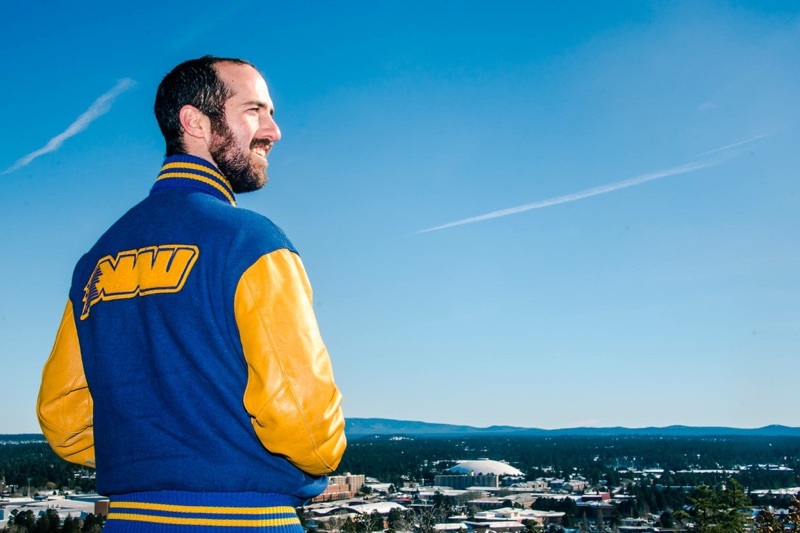 Adam came to Flagstaff from the Northern Suburbs of Chicago to pursue degrees in Business and Edcuation at NAU. Adam graduated with two degrees and a minor from NAU. After his graduation, Adam traveled the globe for a year an a half before returning to Flagstaff. As a small business owner and concerned citizen, I started tuning into the local issues. Through the role of Speak Up’s director, I learned a lot about the process, structure, and role of government. 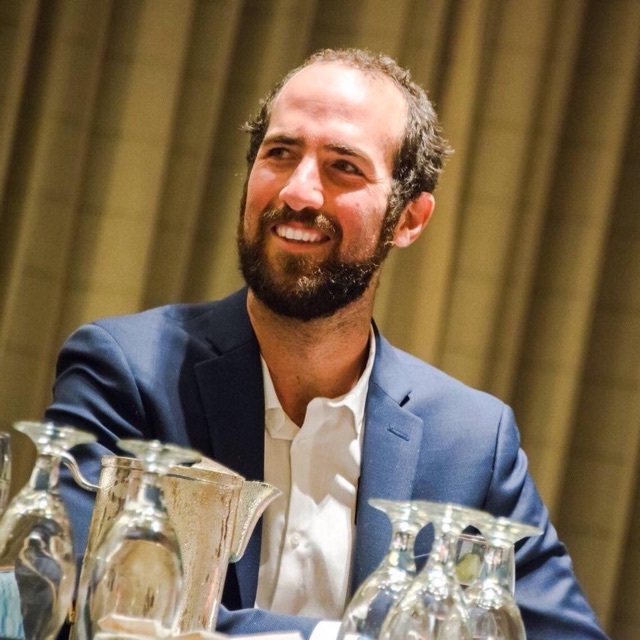 Adam rallyed hundreds of locals to attend city council meetings, influencing decisions made around student housing and protecting historic neighborhoods. After missing the mark by only 59 votes (0.1% of voters) in 2016, Adam is committed to being elected to Flagstaff City Council in November 2018! In such challenging, divisive times, I believe that people on both sides of the political spectrum are frustrated. I would like to see people unite through mutual respect, integrity and communication to move our communities forward as one. We all have our differences, but it is my belief that with the right leadership we can and will work well together. 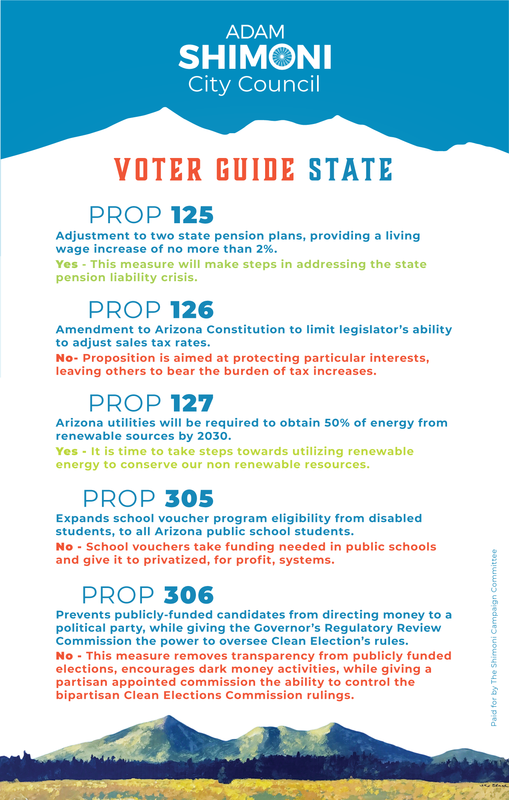 I am a registered Democrat in Arizona, because my values are aligned with progressive ideals of climate change mitigation, immigration (especially DACA) reform, equal rights for LGBTQA individuals, open space protection, support for citizens united, and more. However, my hope is to see a future America where the ideologies of each party are not as limited and as polarized as they are in 2018. I believe in working together, in communicating with all sides, to create a better future. It’s time that we step forward to the challenges of today and start empowering ourselves and each other to ensure that we do what is best for current and future generations. Our environment and town are going through changes and the time for change is now! I believe that I will provide a perspective on council that will balance the group and be a voice for many who aren’t being heard. As a representative, I will engage the public in the process and empower people to take ownership of the town they live in through their representatives and City Hall. If Shimoni wins, Flagstaff Wins! As an elected official, I will implement positive change. I will enhance our community through engagement, empowerment, policy, and foresight. I hope to establish a culture of true civic engagement while addressing Flagstaff’s long-term needs around housing, traffic, economic development and the environment. Affordable housing is my top priority now, and will remain so if elected to city council. The Economic Collaborative of Northern Arizona (ECoNA) report completed in 2017 found that the cost of housing in Flagstaff is the biggest threat to the well-being of individuals, families, and local businesses. I plan to work on finding solutions and creating policies to address it. I believe we can develop new housing in a way that respects existing neighborhoods, as well as valued open spaces. I strongly support proposition 422, the housing bond, which would be a powerful tool to help the city council address the affordable housing crisis for many years in the future. I see this bond as a key piece in helping the city manage growth in a way that is sustainable and maintains the character of our town. As Flagstaff continues to grow, traffic congestion worsens. We need a viable plan to ameliorate the current bottlenecks and reduce our dependence on the automobile by promoting alternative transportation. Working with our city planners, commissions, county leaders, and ADOT for prioritizing projects and finances. Taking steps to build the partnerships necessary to realize the Lonetree interchange at I-40 and the rail overpass to Rt 66 east of downtown. Widening the 4th street bridge over I-40. Connecting JW Powell St to 4th St. 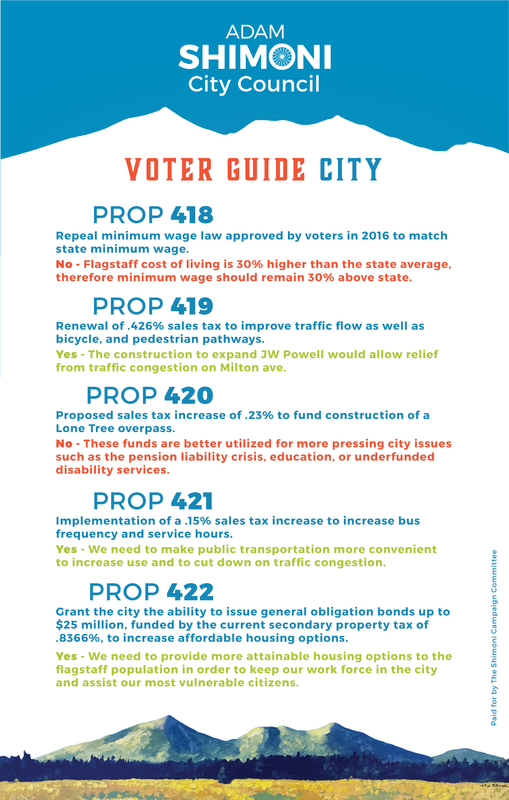 Maintaining support of both prop 419 and prop 421. 419 is a sales tax continuation and will go towards various road, bike lane, and sidewalk improvements, including the JW Powell extension. 421 is a slight sales tax increase ($.0023/$1) that will provide funding for increasing the frequency of the current bus routes, as well as adding routes. Collaborating with Northern Arizona Intergovernmental Public Transit Authority (NAIPTA) to increase bus routes, frequency, opportunities for increased efficiency. Improving safety and enhancing access and usability of bicycling and walking routes. Road Projects: Increase north south connections, advocate for 3 lanes east west on I-40, work with ADOT to synchronize traffic signaling, utilize infrastructure to minimize traffic delays. As part of a small mountain town, sustainability is crucial for the well-being of our town and our future on this planet. As an elected official, I plan to work closely with the City's Sustainability Section and with special interest groups that share this common interest. Explore innovative strategies for water reuse and ensure the highest quality standards of our reclaimed water supply (since it returns to our aquifer regardless of its usage). Furthering the Climate Action Plan that the city is already beginning to implement. Work with the City’s Sustainability Section to explore a city-led composting system, free glass collection service, and potential uses of current landfill material for fuel and/or building materials. Alternative Energy: continued investment in alternative energy sources such as solar panels on city parking lots and buildings. Continue and enhance the City’s efforts towards self resilience, climate change mitigation at the local level, and the zero waste goal. Flagstaff has lots of possibilities for economic growth. From finding new ways to support our small businesses to attracting new businesses due to the high quality of life, I look forward to improving this. I prioritize supporting and promoting locally-owned businesses. I am a small business owner myself and I understand the difficulties and struggles associated with opening and running a business. Addressing the affordable housing crisis as according to the ECoNA report this is the biggest threat to our economic vitality. We need to make it possible for employers to retain employees. Enhance our Science, Technology, engineering and mathematics program (STEM). Collaborate with local business groups (Chamber, FIBA, DBA, Local First AZ and others) to best address their needs. Work closely with ECONA to evaluate its success in economic development. Support min wage workers by increasing their wages, while assisting businesses to adapt to these increases. I support prop 418 because I believe we can provide a decent wage to our workforce while also finding solutions for our small businesses and non-profits to handle the increase I employee expenses. The strong sense of community is one of the things that makes Flagstaff special. From art walks, to clean up projects, to festivals and farmer markets, Flagstaff is one a kind. Social services substantially improve community health, focusing on the basic necessities of life, helping ensure that individuals receive adequate nutrition, proper shelter, a good education, and a living wage. Work with Flagstaff Shelter Services and other groups to help support our homeless population. Continue working to eliminate structural injustices against all populations in Flagstaff. Address the needs of our elderly population. Address the needs of our youth and families. Continue efforts to achieve a Veterans Home. Support immigrants with resources needed to thrive in Flagstaff. Internet: I would love to establish a free, city-wide high speed internet program. Work to make government more accessible to all members of our community through outreach and informational programs. Create an official Cultural Diversity Strategy, a policy document, that ensures a strong commitment to celebrating and enhancing diversity while battling discrimination and protecting the rights of individuals, groups and communities. Advocate for the needs and interests of our LGBTQ community. In order to win this and create real change in Flagstaff, we need your help! We have something for everyone. Help with events, getting the word out, creative materials, and more. Get started by filling out the form below. This will give us an idea of your availability and volunteer preferences. Our Volunteer Organizer, Kahla Lauinger, will contact you soon! Keep in touch with the latest happenings on the Shimoni For Council campaign trail including important dates and event info and other cool stuff. 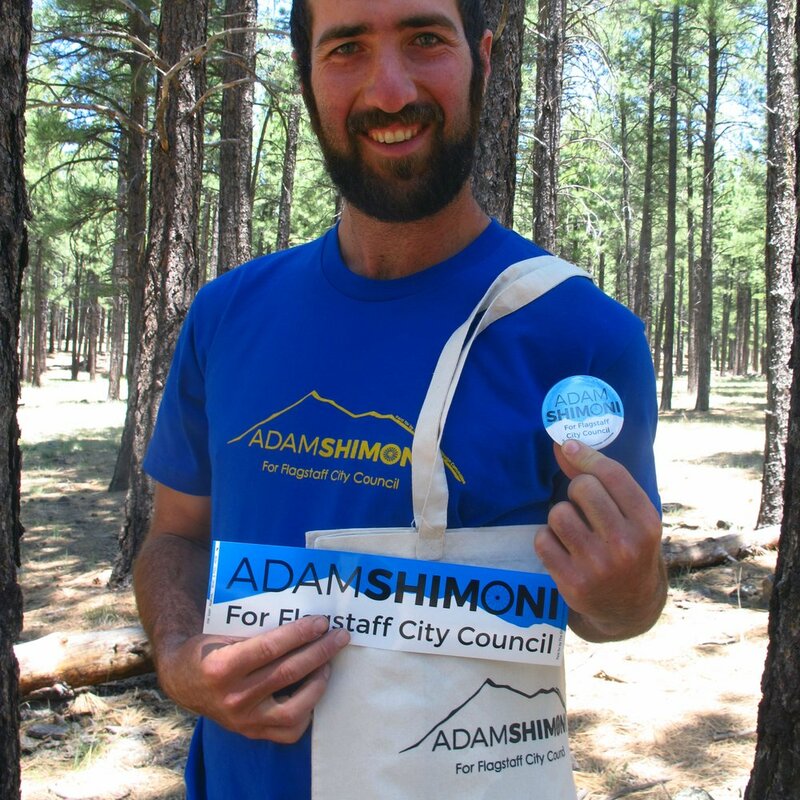 Show your support for Adam Shimoni for Flagstaff City Council and purchase your campaign shirt, button, or reusable bag today over at our web store. Vote Shimoni for Flagstaff City Council in November 2018! Your support as a Flagstaff citizen is your most valuable contribution to Adam's Campaign. Contribute to the cause by donating via PayPal! Adam is all ears, all the time. Send him a message to let him know what's on your mind!